Can biological and psychological interventions be integrated in the treatment of psychosis? Throughout the world, access to psychotherapeutic and psychosocial treatments for the psychoses varies significantly, with many people diagnosed with psychotic disorders receiving only medication as treatment. 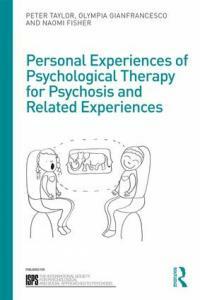 Psychotherapies for the Psychoses considers ways that this gap can be bridged through theoretical, cultural and clinical integration. Integrating psychotherapeutic thinking and practice into 'real world' settings.